Mumbai: Maharashtra State Assembly legislator Vinod Tawde lauded the Supreme Court of India’s verdict to say the demolition of illegal flats in Campa Cola Housing Society, South Mumbai, till May 31, 2014. The state government is trying to act like a dictator and trying to save it self, added the legislator. The NCP leader Tariq Anwar also welcomes the order and said the innocent public is suffering in the political ties in the country and also called for formulating proper rules to prevent such heinous acts. There must be new construction rules need to be added and rules to be taken care off so that the innocent people might not suffer, the minister added. Another NCP leader DP Tripathi said there should be a balance solution and the issue should be resolve through talks between the Govt and the residents. The views of the regulatory class came after the apex court stayed the demolition of illegal flats, after taking notice from several media reports. After the verdict came scenes of euphoria and bursting of fire crackers seen in the premises of Campa Cola. Before the order, the the Brihanmumbai Municipal Corporation(BMC) officials bulldozed its way inside the compound by breaking open the gate to gain access as the residents tried to block the entrance. 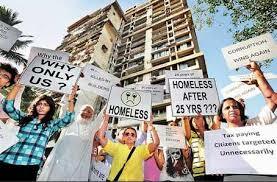 The apex court ordered officials of civic body not to go ahead with the demolition till May 31, 2014. 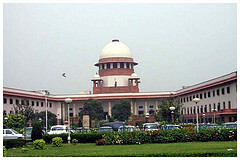 Residents were completely raging in anger and pleading for help, when the apex court verdict came as a relief for them. With the pressure increasing on the State Government, CM Prithviraj Chavan sought legal help from the attorney general to save the homes. The residents have declined to move out of the compound even as the deadline given by the Supreme Court to vacate the flats has ended. 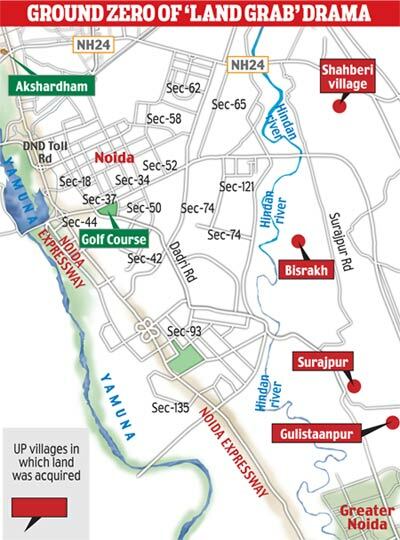 The civic body decided to bring down 35 illegal floors in the seven high-rises in the compound after the Supreme Court refused to regularize them. 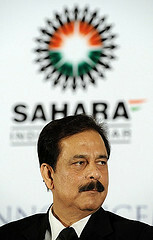 Leading Sahara group in to more trouble, a Delhi-based investor approached the Supreme Court last day. He requested the SC to give directions to redeem his investments. Requesting Supreme Court to give directions to redeem his investments; the petitioner claimed that he is one of the real OFCD investors in the Sahara List, a Delhi-based investor approached SC. 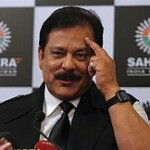 The petitioner claimed that he had invested in one of the Sahara group companies. 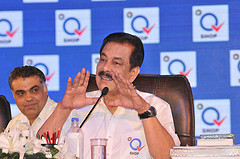 He requested the Apex court to direct the Sahara group firms – Sahara India Real Estate Corp (SIRECL) and Sahara Housing Investment Corp (SHICL) to pay back his due. Government of Delhi issued a fresh directive to the revenue department asking it to allow sale and purchase of immovable properties only through proper sale and not allow any such transactions by way of General Power of Attorney. 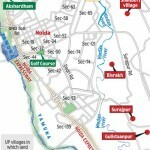 The direction issued by Divisional Commissioner Vijay Dev came as registration of properties at 13 sub-registrar offices across the city had slowed down drastically due to confusion on the issue following issuance of an advisory last month by the government clamping down on property transaction through GPA. “In today’s direction, the government has asked all concerned officials to strictly comply with the Supreme Court order on the issue. The order has been issued to remove the confusion,” said an official. The government had put restrictions on GPA as a mode of property transfer following the apex court order on October 12 last year but such transactions had been taking place despite the order, prompting the government to issue the advisory. Following the advisory, registration of properties has come down at the sub-registrar offices. The Supreme Court had on October 12 last year ruled that sale transactions carried out in the name of GPA will have no legal sanctity and immovable property can be sold or transferred only through registered deeds.